Bats love to sleep all day, so it stands to reason they'd need PJs for the comfiest slumber. Some of our bats are wide awake and some are sleepy, but all are ready to wrap up in their floppy wings and have a nap at the drop of a hat. If "shy and retiring" is not your thing, perhaps a Flasher Bat would be more your style. 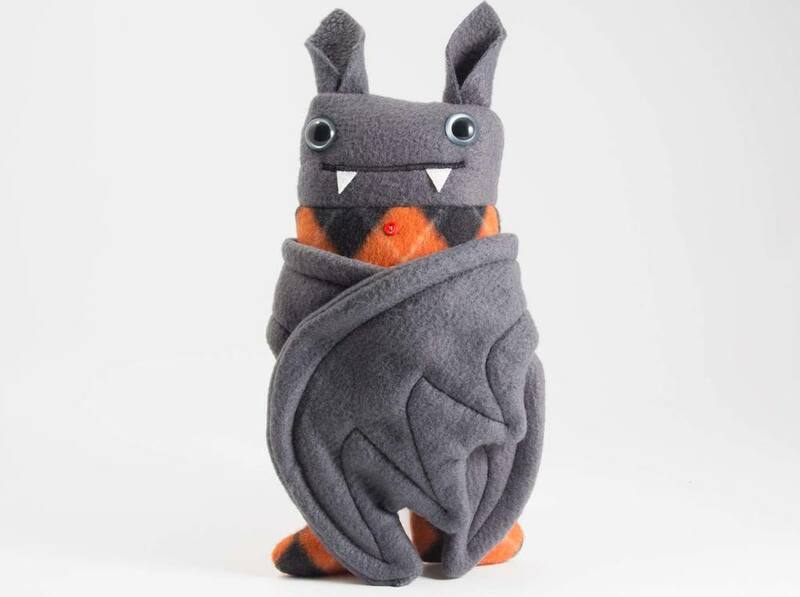 Sporting a cheeky countenance and nothing more under his wings than tiny tighty whities, the Flasher Bat knows that not everyone likes to hang out in PJs – less is more! 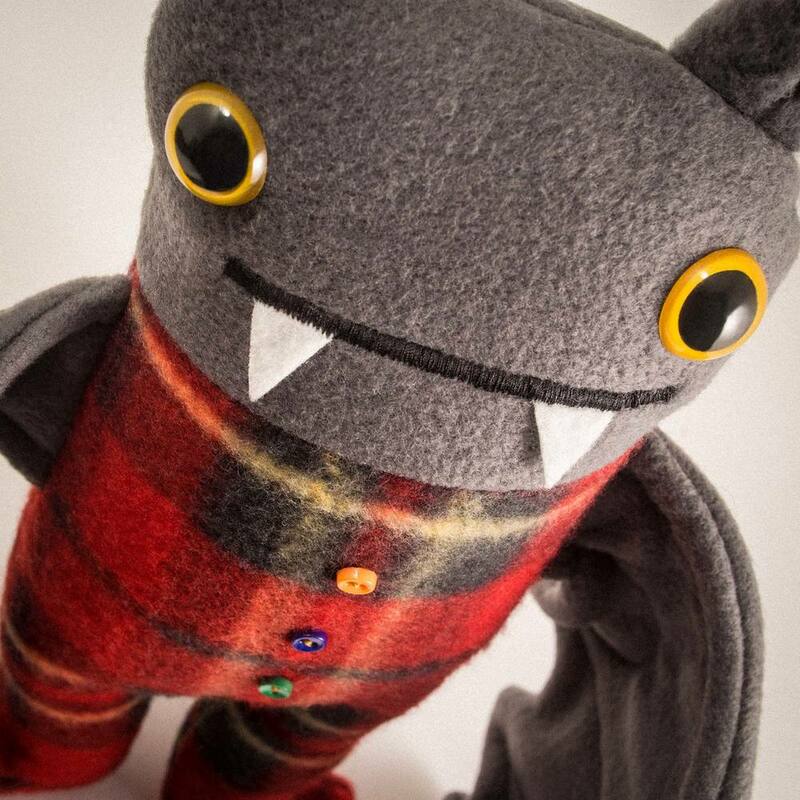 Like all our creatures, Pajama Bats and Flasher Bats are handmade in Seattle and feature safety eyes for the wee ones.